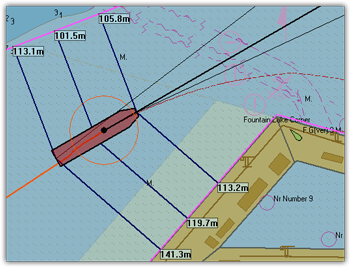 seaPro Pilot provides a powerful yet easy to use 'carry on-board' solution for ship Pilots, who want their own independent navigation and information system, removing the reliance on the the ships own ECDIS/Navigation system. 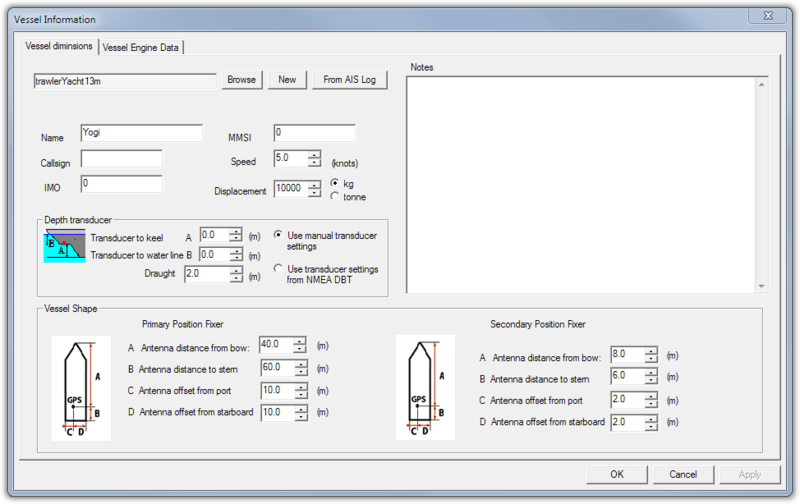 The pilot system interfaces to the ships data using the pilot plug on the ships AIS transponder, giving instant access to ships Position, Heading, COG/SOG/Rate of Turn and AIS targets. 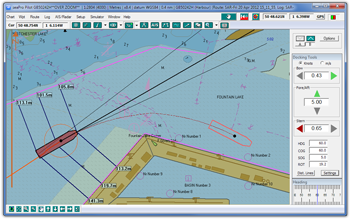 seaPro Pilot supports S57 cells (both encoded and non encoded) as well as other formats such as ARCS (skipper and Navigator services), BSB/BSB4 etc. The Pilot system can be supplied as a software only solution or complete with ruggerdised laptop and wireless Pilot plug connector (including a built in backup GPS ). The packaged solution is light and easy to carry onboard and can be set up within minutes. 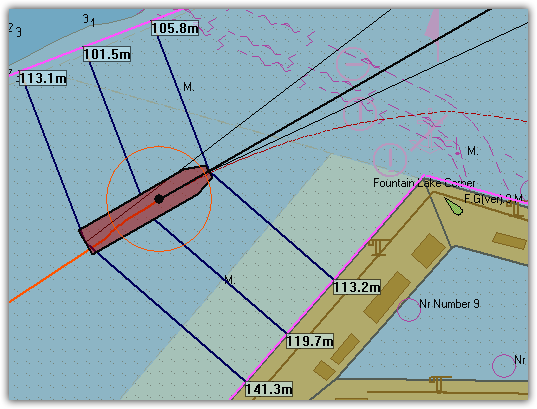 In addition to reducing the learning curve when boarding a vessel, the Pilot can be confident that the latest S57 charts and port data is available on their own system self contained system. 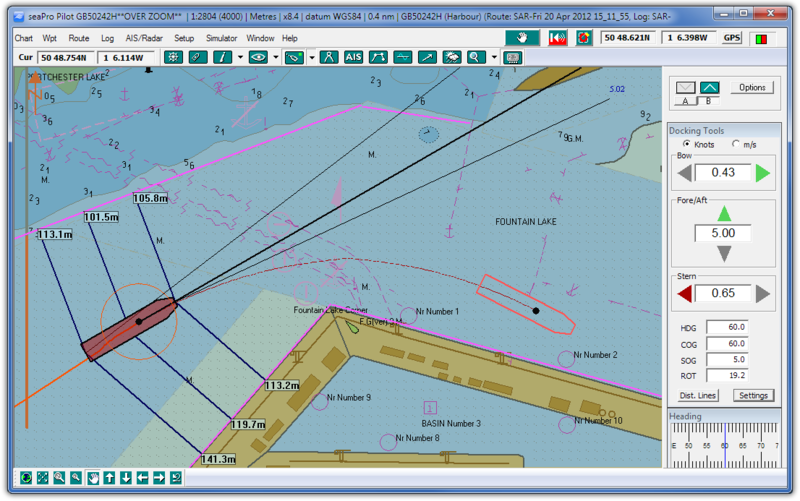 seaPro Pilot contains advanced route planning facilities that enables tidal and magnetic variation to be automatically calculated in passage plans. Schedule information including ETA and time-to-go are provided in addition to a print formatted passage plan. seaPro is a ‘multi-fuel’ platform that supports both Raster and Vector chart formats to provide the best choice of charts world-wide. S57 ENCs - Official Hydrographic Office charts. AVCS and Primar. These represent the ultimate in digital charts coming directly from the official source of information. Available with weekly NTM update contracts. ARCS - British Admiralty charts offering worldwide coverage. Weekly update service available. BSB - National Oceanographic & Aeronautical Administration charts covering US waters. seaPro can network to other computers for multiple navigation stations and can also be used as an information repeater for example in the masters or officers cabin or for the Euronav PI3000 Passenger Information System.